Good morning and a hearty hello to you! 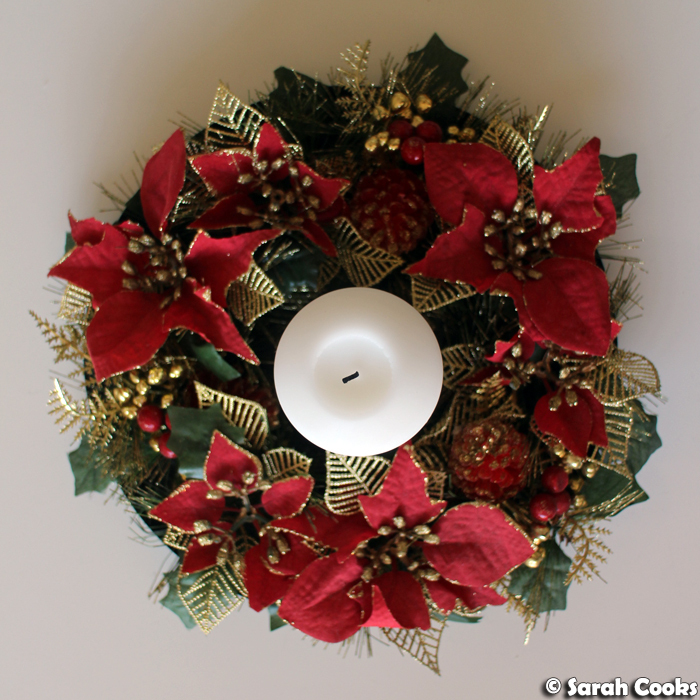 As I mentioned in my most recent post, Christmas preparations are in full swing! Before last week, we didn't really have much in the way of Christmas plans, but last Sunday was the first advent, and we suddenly felt like we had to do something to get in the spirit. 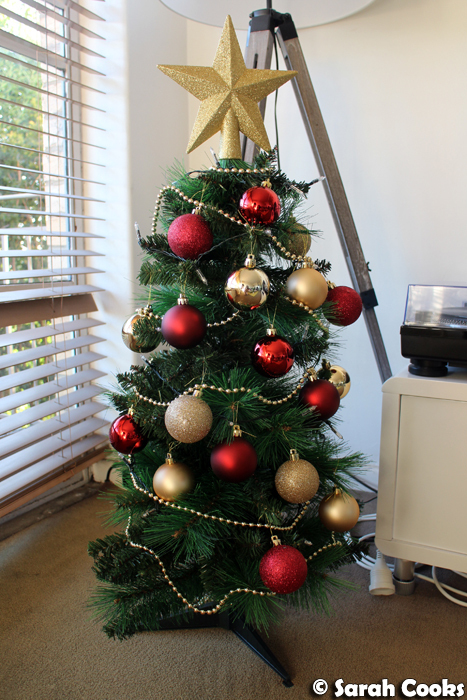 Here's our new tree! The cutest little tree that you ever did see. (After ten years, I've finally managed to convince German Sandra that natural Christmas trees just do not work in our Australian summer). 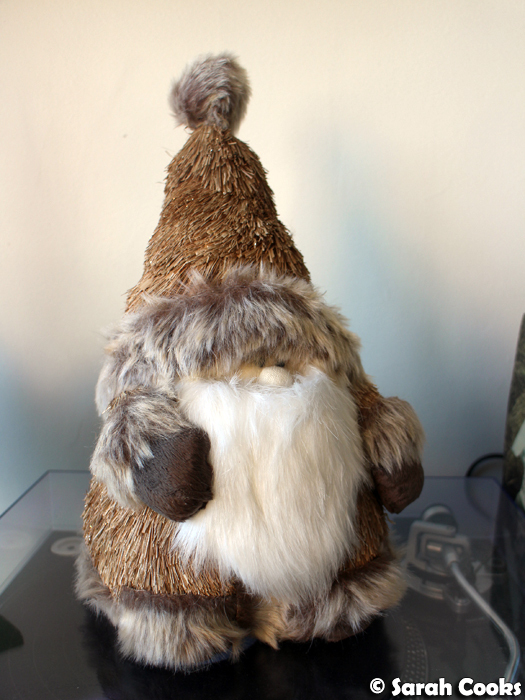 This guy is plastic, and I look forward to whipping him out every year. This is Albert. We bought him at Target on a whim last weekend and I loves him. But of course, for me, the most exciting part of Christmas is the food! Last weekend, in addition to those Christmas decorations, I started the Christmas baking, whipping up two batches of Christmas biscuits. First up was this shortbread. 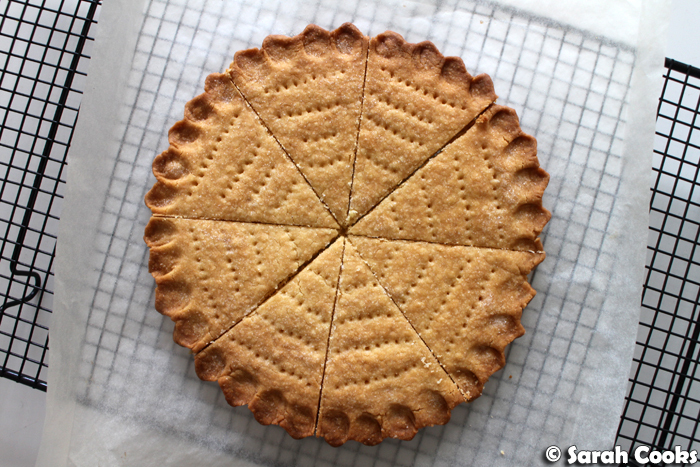 This is a classic shortbread - just butter, sugar, ground rice and flour, pressed into rounds and cut into petticoat tails. 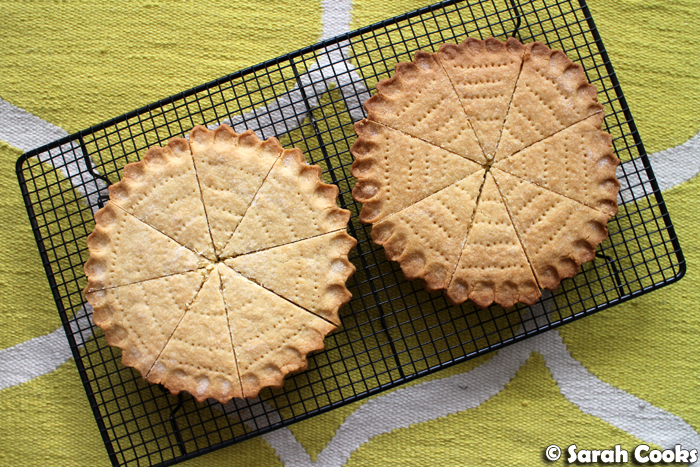 I adapted the recipe slightly from one of the (many) shortbread recipes in The Australian Women's Weekly's Big Book of Beautiful Biscuits, a gorgeous vintage cookbook. My mum has an original copy from the 80s, which I baked from growing up, and for my birthday this year, Sandra gave me a re-issued "vintage edition" copy. I love it! So, ground rice. 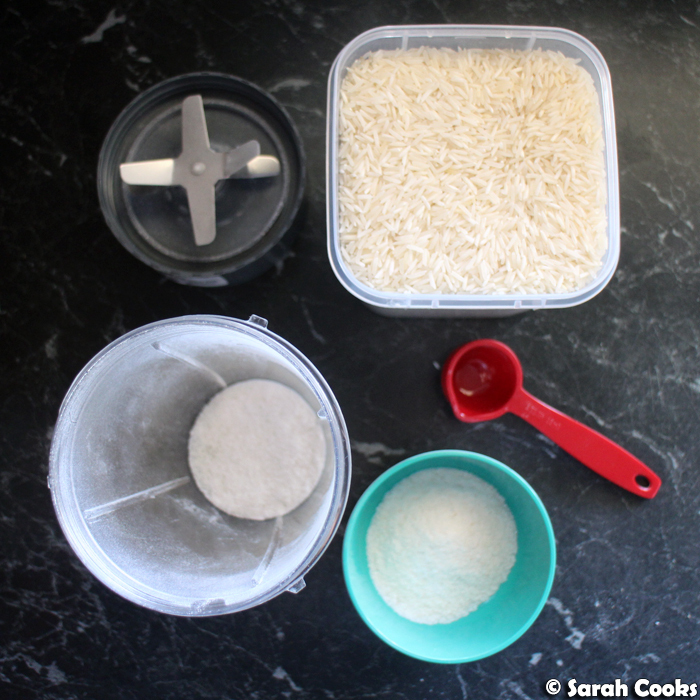 You can use rice flour or ground rice - both of these ingredients are available at the supermarket, but I didn't have any, and didn't feel like buying a whole packet just to use a couple of tablespoons, so I ground up some rice in my Nutribullet. It worked well, with the ground rice giving a pleasing gritty texture to the final product. 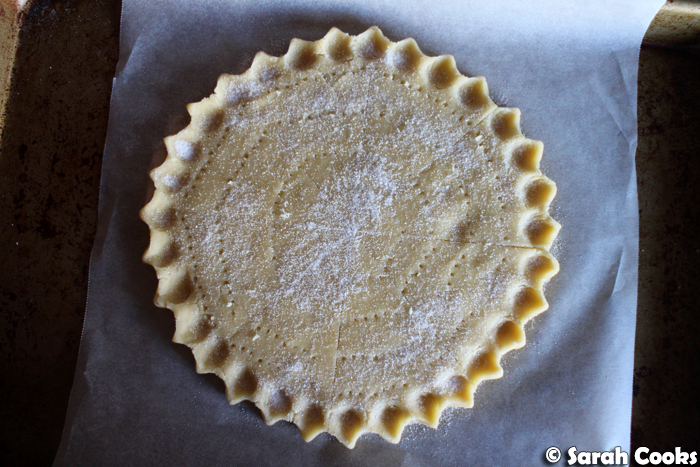 Making this shortbread is like making pastry or crumble - you start by rubbing cold butter into the dry ingredients. This can be done in a processor, but as I keep telling you, I find it more work dragging the processor out of the cupboard (and washing it after, ugh), than simply getting on with my hands. 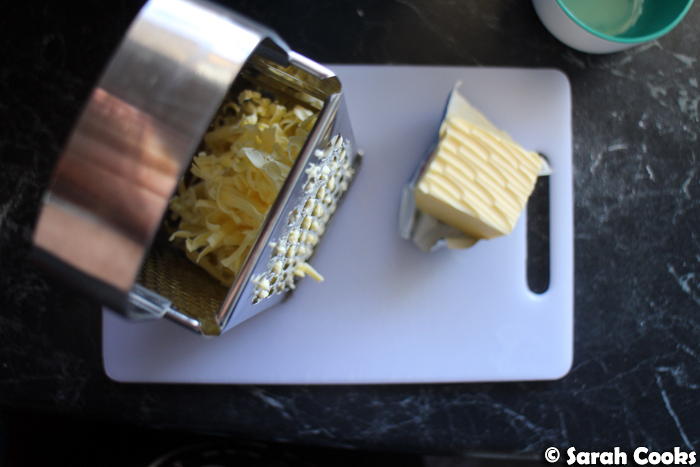 Chopping the butter is traditional, but grating the butter makes the rubbing-in process even easier. See? It practically rubs itself in! 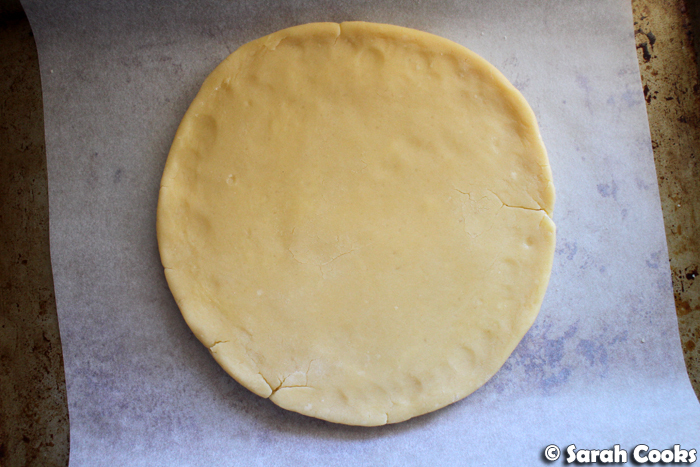 Once the butter is incorporated into the dry ingredients, you tip it out onto a surface, and gently knead it together to form a smooth dough. These next photos are of the shaping and marking. I'm a bit of a dork, I found this part the most fun! Just like playdoh when I was a kid! (But infinitely more edible). And here it is, baked. I have to say, I was super proud that it turned out like proper shortbread petticoat tails, with the pretty pinched perimeter. I can't tell you how much I loved this shortbread. It was so buttery and crisp, perfect with a cup of tea. The house smelled amazing while it was baking! Unusually for me, I actually found that it could have been slightly sweeter, so in the recipe below I've said you can use up to 1/2 cup of sugar, rather than the 1/3 cup that I used. 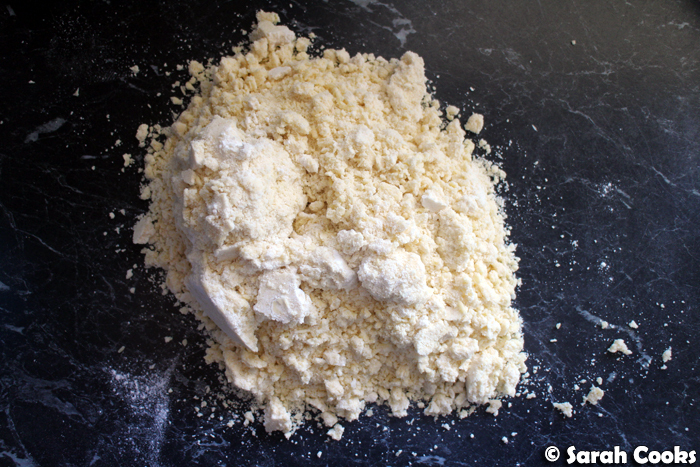 Sift the ground rice, icing sugar and flour into a mixing bowl. Grate or chop the butter and add it to the dry ingredients. 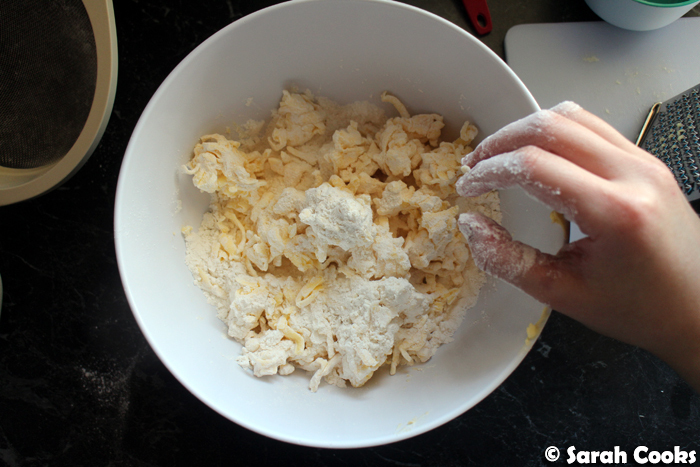 Tip the mixture out onto a clean work surface, and gently knead to bring together. 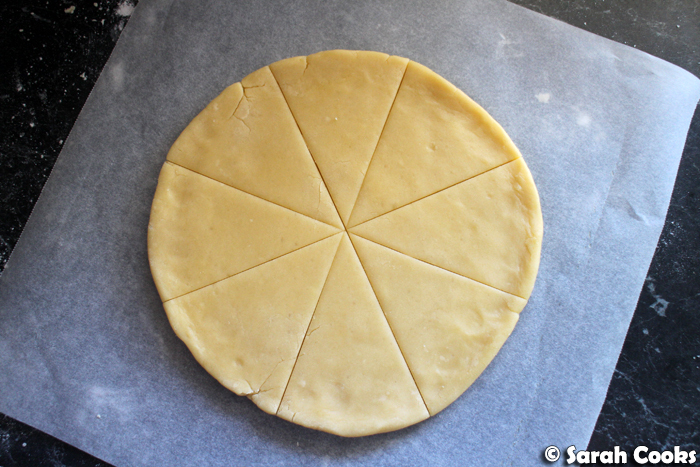 Divide the dough in half, and form each half into an 18-cm circle. 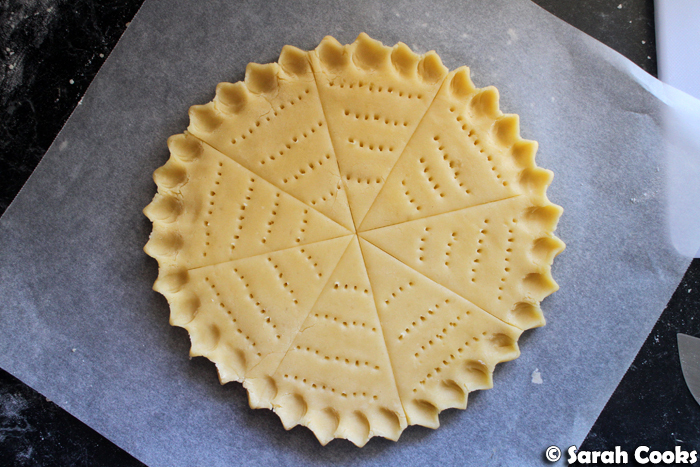 Place each circle on a lined or greased baking tray. 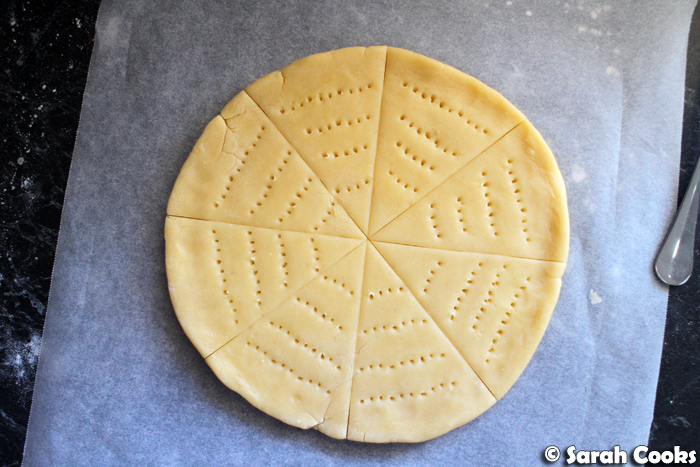 Mark the dough circles into wedges, prick with a fork, and pinch the border decoratively. Sprinkle the rounds with the caster sugar. Bake for 25-35 minutes, or until lightly golden brown and firm. Allow to cool slightly before cutting into wedges, then transfer to a wire rack to cool completely.